After my post about Kai Tak airport, I would like to take you on a far quieter type of ride. Here is the history of the Hong Kong tram, not that quiet after all! Only tram system fully equiped with double-deckers, Hong Kong "ding-ding" is favored by tourists because of its old-style appearance and the colorful adds decorating its sides. On board of one of the 164 tramcars, you can enjoy street life through the open windows as well as the proximity with the driver whom you can spy on to kill time. Some cars still have their original rollling signs indicating the terminus station, those activated manually from inside by the driver and also their big fount brake-wheel on each extremity. 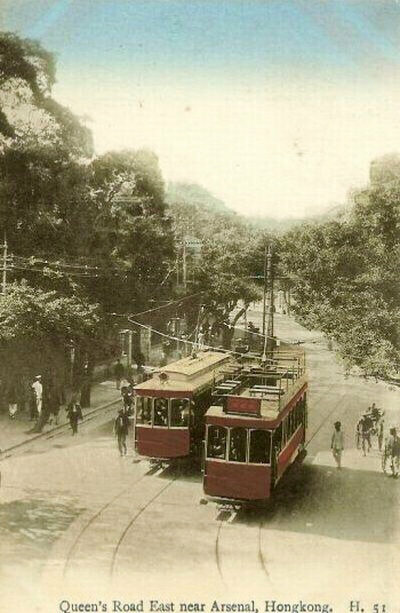 Created in 1904, the first tramline connected Kennedy Town and Causeway Bay then Shau Kei Wan. As land reclamations were new, it used to run along the waterfront and Hongkongers would take it to go swimming at North Point beach or the Kennedy Town sea bathes (video). A very different situation from today when one has to take a long ride for seaside sand. At that time already, delivery carts using the tram tracks to save time were a problem, causing traffic jams and accidents. This new way of transportation was welcome among the city inhabitants and it soon had to increase its capacities to meet the demand. The very first double-deckers appeared in 1912, with priviledged first class tickets on top and a third class category on the first level. No second class tickets were issued to simplify the pricing scheme! During the Japanese occupation only 12 tramcars functionned, part of it dedicated to merchandises. Then things went back to normal after the war with a transfer of the production of cars from England to Hong Kong. In the 1950s, a rather special activity florished along the tramtracks when local authorities tried to prevent organized prostitution. Private prostitutes indeed chose to operate in the Des Voeux Road Central sector. A crude Cantonese expression described them back then, "Stand on the tram" (企電車路) which is still used today, even if most of the cheap hotels around Wing On Department Store closed in the 1970s. 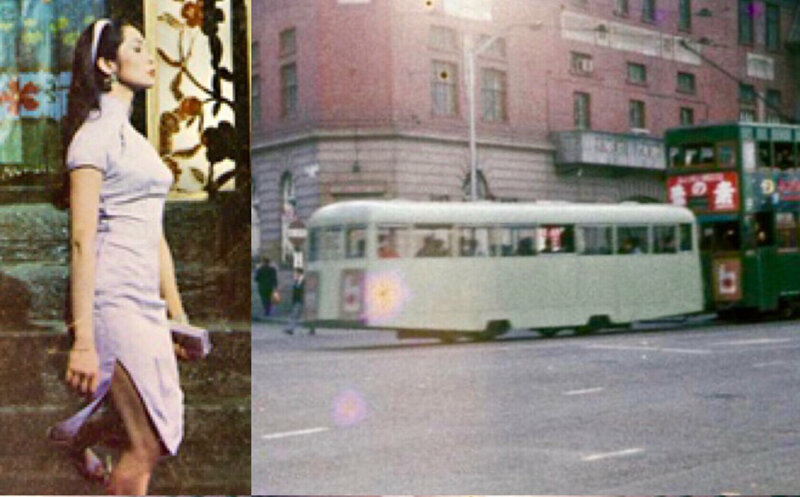 Between 1965 and 1982, a strange trailer was attached to some of the tramcars to accomodate more people. They were dedicated to the first class categories. Even if the suppression of the tram was discussed on many occasions, in order to promote more modern means of transportation, it always remained due to its relative reliableness compared to double-decker busses which could more easily overthrow in this densely populated area of Hong Kong. The question became even more accurate when the subway was created in 1979, bringing both speed and security. However, young Hongkongers showed a strong determination to preserve historical landmarks. This became obvious when demonstrations bursted out in December 2006 against the destruction of Queen's Ferry Pier on Victoria Harbour. Some people went as far as enchaining themselves to the iconic pier in protest. This is part of the reasons why the old Hong Kong tramway is still in use today, on the same model with the Star Ferry. 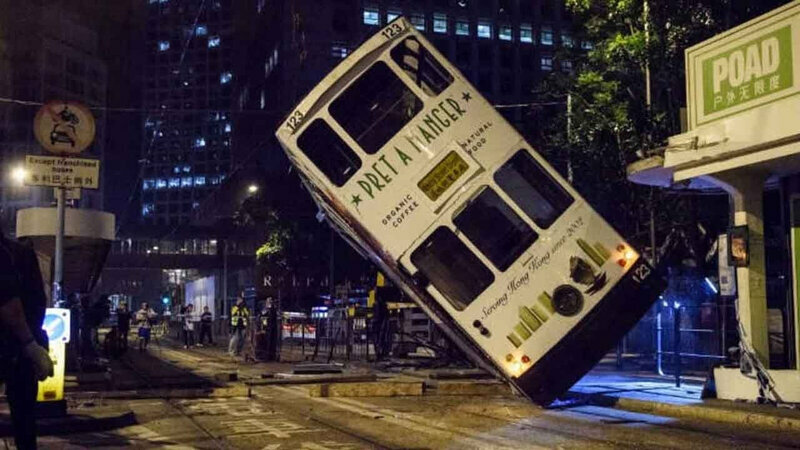 In terms of accidents, the most impressive one was probably this tramcar toppling over after a driver carelessly negociated the Bank Street turn on 6th April 2017. Fourteen were injuried! The rest of collisions involved busses or cars, merely causing material damages. Same thing with cars derailing here and there. Typhoons also caused damages to the pre-1923 versions of tramcars, the top floor being only covered with canvas. Today, hardtop-covered tramcars wisely wait at the tram-depot during the storms. 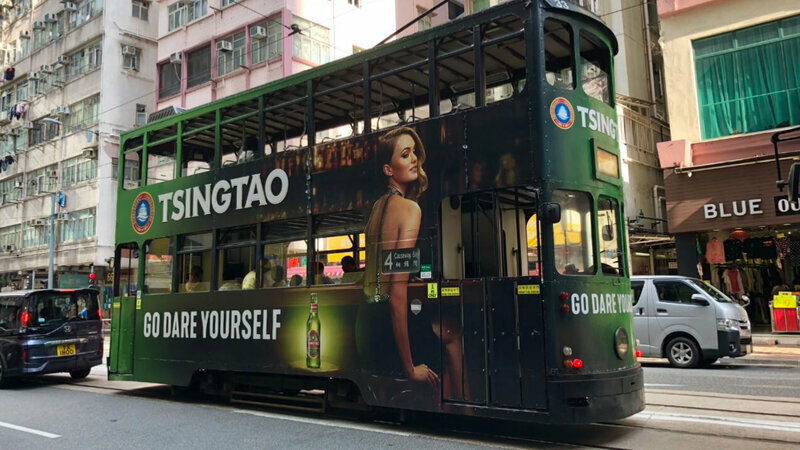 In Hong Kong cinema, the tramway is under-represented compared to busses or metro in action movies because stunts often require speed. In John Woo's famous picture "The Killer" (1989), however, detective Li-Ying chases a tramcar before shooting down a villain hidden amidst passengers (4th photo). 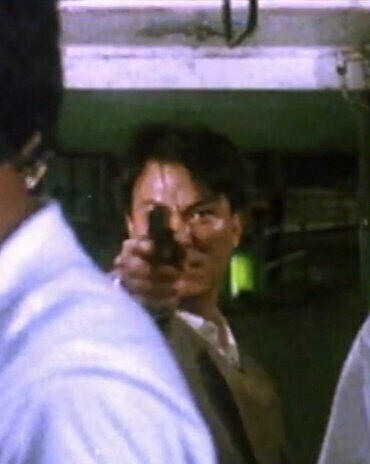 The movie set was Causeway Bay, which took passers by surprise causing some of them to call the police in an assumption that the shooting was real. In a very different genre, Stanley Kwan's 1988 movie called "Rouge", one of the main characters has a nice chat with the ghost of a 1920s courtisane on a tramcar going to Shek Tong Tsui, a former red-light district of Hong Kong! "Ding-ding" is now operated by a French company, creating a stronger link between Paris and Hong Kong. So next time you jump on the Hong Kong tram, remember you are stepping in a bit of France in China!